1. 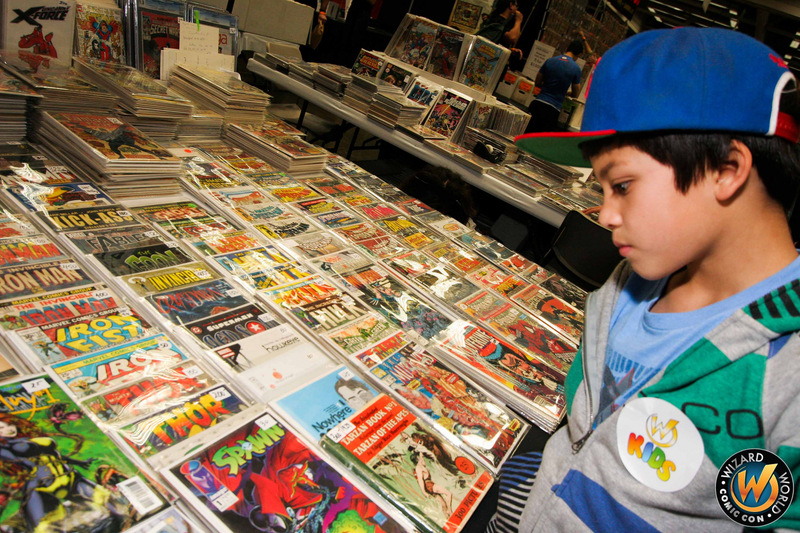 Three days of comic con fun, right here in the capital city: Fri., Mar. 13, 3-8pm; Sat., Mar. 14, 10am-7pm; Sun., Mar. 15, 11am-5pm. Spend the weekend with us! 2. Celebrities! From meet and greets and Q&A panels. This year’s lineup features David Tennant (Doctor Who); William Shatner (Star Trek); Ian Somerhalder (Vampire Diaries, LOST); Tyler Hoechlin (Teen Wolf); Liam McIntyre (Spartacus: War of the Damned); WWE® Diva Eva Marie™; John Schneider (Smallville, The Dukes of Hazzard); Cassandra Peterson (Elvira: Mistress of the Dark); Lou Ferrigno (The Incredible Hulk); and The Walking Dead’s Sonequa Martin-Green and Sarah Wayne Callies. 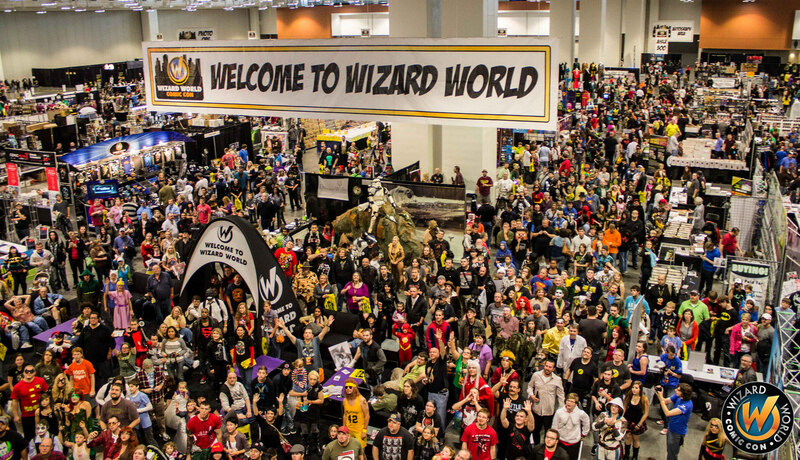 Check out the Wizard World Comic Con Raleigh website for the complete and most up-to-date list. 3. Hard to find, exclusive products and collectibles will be available on the convention floor, as well as new products from trending brands. You can order your own customized lightsaber from Ultra Sabers for your favorite Star Wars: Episode VII enthusiast. And fans looking for unique souvenirs should make the Convention Exclusive booth their first stop! 4. Something for every age and generation. Embrace your inner Creative Genius and bring the whole family. 5. Comic books, comic books and more comic books–and some of the most creative comic artists and writers on the planet. 6. Visit the Back to the Future DeLorean. Don’t miss your chance to sit in front of the flux capacitor and functional time circuit displays while helping to raise funds and awareness for the Michael J. Fox Foundation for Parkinson’s Research. 7. Cosplay with costume contests for both adults and kids. Interact and get social with those who love the same pop culture icons you do. 8. Conversations, photo ops and autographs with your favorite celebs, artists and creators, as well as cosplay and fan communities. Watch artists at work. 9. Tip: if you want both a photo and autograph, sign up for the photo slot first so the celeb can autograph your pic. Slots can be reserved online with a credit card or with cash at the venue. 10. Freebies: all one-day and three-day general admission attendees will receive a limited edition, exclusive cover variant of The Walking Dead #1 by Dean Haspiel. All VIP attendees will receive two limited edition, exclusive cover variants of The Walking Dead #1–a regular cover and sketch black and white version by Haspiel. The artist will be on-site to sign; autograph fees may apply and quantities are limited. 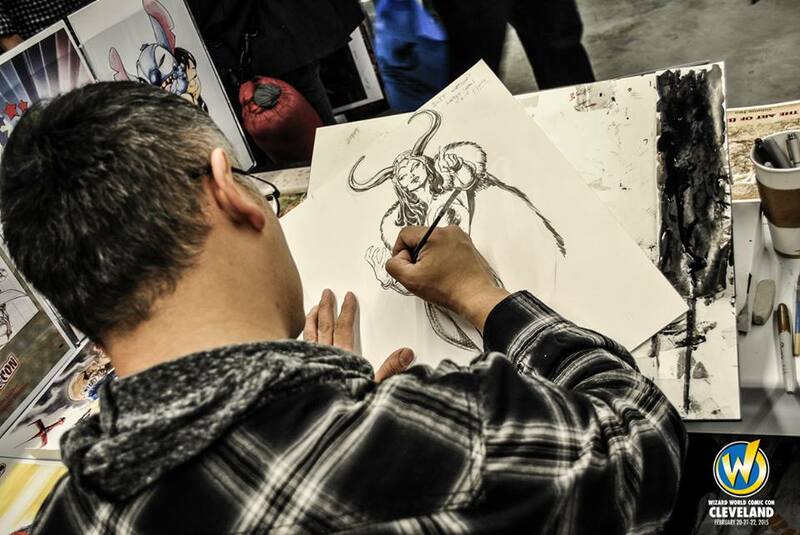 Plus, a zombie sketch for the first 150 kids (16 and under) on Sun., Kids Day, by “Zombie King” Arthur Zuydam. Follow Kristy on Facebook, Twitter and LinkedIn, or visit her website here: Kristy Stevenson Creative. Wake Forest will host the Mardi Gras Street Festival on Sat., Feb. 14. For both adults and children, the event invites visitors to the heart of downtown Wake Forest for music and entertainment, face painting and a walking parade. Teens and adults can participate in the King & Queen costume contest prior to the start of the parade. Judging will take place at noon and winners will serve as grand marshals and lead the walking parade. A Prince & Princess costume contest will also be offered for younger participants, as well as Best Baby, the ever-popular Bubblegum Blowing contest and more. Fat Tuesday on Fayetteville St.
For a Mardi Gras party all day long, check out Feb. 17th’s Fat Tuesday on Fayetteville St. in downtown Raleigh. The party starts at noon and will feature live music on an outdoor stage from 5-10pm, street performers, artisans and food trucks. Then check out The Big Easy for authentic, soul-satisfying Cajun and Creole recipes, plus bona fide zydeco and traditional New Orleans jazz from 8:30pm-2am. Join the revelry of the Mardi Gras Masquerade Ball to Benefit Education and raise funds for educational programs in the process. Celebrate in Cary on Feb. 14, 7-11pm, with your best semi-formal or costume attire and enjoy a three-course meal of traditional New Orleans recipes with unlimited beverages, live music and a dance floor. VIP packages available. Know of any other celebrations in Greater Raleigh? Submit them here! There’s something BIG in town, and you don’t want to miss it. I took the kids to the North Carolina Museum of Natural Sciences recently to see The World’s Largest Dinosaurs, a new exhibition about the super-sized sauropods, the most colossal animals to walk the earth. I’m not well-educated on dinosaurs at all. In fact, most of my knowledge comes from the public television show, Dinosaur Train. I knew dinosaurs were big, but man, that sauropod is BIG. Some sauropods reached lengths of 130 feet. This is a fun, educational exhibit that the whole family can enjoy. It’s not scary for little children at all, but I do think elementary-aged children would enjoy this exhibit the most. I have a five-year-old daughter, and she almost wanted to run through the exhibit quickly, however, the museum does an excellent job of keeping younger children engaged through interactive play areas. It’s fun to see if you can fit in the gigantic dinosaur footprint. I personally got a big kick out of seeing how many greens the sauropods ate daily. They weren’t kidding when they said BIG. Talk about an enormous salad bar. The BIG highlight of the exhibition is the detailed model of a 60-foot-long Mamenchisaurus. You actually see this fellow breathe and watch him digest food. The World’s Largest Dinosaurs takes visitors beyond the bones and into the bodies of these titans, shedding light on how heart rate, respiration, metabolism and reproduction are linked to size. Your future paleontologists (your kids!) will enjoy digging in the exhibition’s fossil pit before heading into the gift store where they can take home their own baby dinosaur (the soft and cuddly kind). This is a ticketed-admission exhibition in the museum. Get $4 off adult tickets here! Tickets are free for museum members. The World’s Largest Dinosaurs will run through Apr. 12. In conjunction with the exhibit, the museum is holding a special lecture series through Mar. Grab your family and hit the ice for a fun-filled afternoon of ice skating in downtown Raleigh before the ice “melts away.” You still have time before Ipreo Raleigh Winterfest closes for the season on Feb. 1. Thousands of visitors have already enjoyed Raleigh’s only outdoor ice rink since it opened in late Nov. 2014 for the season. The Ipreo Raleigh Winterfest ice rink is located in City Plaza, situated on the southern end of the 400 block of Fayetteville St. The cost is $9 per person, and that includes skate rentals. Even if you have your own ice skates, admission will be the same cost. Children and adults are charged the same price to skate. The Ipreo Raleigh Winterfest offers events and specials throughout the week. Fri. nights offer late-night skating with a DJ on-site. You can also skate late on Sat. nights. To view the full ice rink schedule, see the weekly schedule. Schedules can change quickly due to inclement weather so always check before heading out. If the weather isn’t perfect, you can still have fun in the area! Within a few blocks, you’ll find Marbles Kids Musuem, lots of BIG dinosaurs at the North Carolina Museum of Natural Sciences and a look into blockbuster films made in North Carolina at the North Carolina Museum of History. There’s always something good playing at the Wells Fargo IMAX Theatre at Marbles, too. Check out the Greater Raleigh Museums section on visitRaleigh.com to plan your agenda before or after ice skating. 1. “Clean closets and full pockets.” Consignment is a great way for families to make some cash by selling items they no longer need. 3,000 sellers, 700 volunteers and 30,000 shoppers can’t be wrong. 2. Sellers not only get a nice return on their investment, they also get the added bonus of de-cluttering their homes, closets, playrooms and garages. 3. New online building directory (via QR code), helping shoppers search for items and exact locations. If you don’t have a smartphone or QR reader, simply print the color-coded map. 4. Diapers are expensive. But as little ones tend to grow out of sizes quickly, you can often find a variety of heiny huggers from Swaddlers to Pull-Ups. 5. Books, educational toys, puzzles and games to keep your kids busy until the warmth of the sun calls them back outdoors. 6. And speaking of the outdoors, check out the selection of bicycles, sandboxes, basketball hoops, playhouses and other outdoor toys for hours of enjoyment in your own backyard. 7. Swim suits in Jan.! Where else are you going to find a selection of everything from swim diapers to one and two-piece pool attire for your toddler or teen? Then head over to the sporting goods area and check out the pool noodles, floaties and other inflatables. 8. Seeking furniture or storage options for your nursery? They’ve got you covered. 9. Barcoded price tags for fast checkout. 10. Helping your community: at the end of each sale, sellers have the option of picking up unsold items or donating to a worthy cause. Kids Exchange sales around the nation have given millions of dollars to families both locally and around the world. Kids Exchange – Raleigh is open to the public. Consignor item drop off is Jan. 19-21, volunteers shop Jan. 21, consignors shop Jan. 22 and the public sale runs Jan. 23-25 with 50 percent off most items on Sun. Make your next vacation epic. Through the beginning of 2015, the North Carolina Museum of Natural Sciences continues to go big with The World’s Largest Dinosaurs, a new exhibition about the super-sized sauropods, the most colossal animals to walk the earth. You must go big too. Start the new year off in a grand way with a trip to the exhibition, other Greater Raleigh museums and historic attractions, big-flavor dining and a cozy hotel stay. 1. Ice skate under the stars in downtown Raleigh at Ipreo Raleigh Winterfest and grab a drinking chocolate or hot cider at Bittersweet. 2. Explore and learn at The World’s Largest Dinosaurs exhibition at the North Carolina Museum of Natural Sciences. 3. For an evening excursion, head to the town of Wendell for Wendell Wonderland/the Lake Myra Christmas Lights where a huge light display is synchronized with Christmas and patriotic music. 4. Nothing says it’s the holiday season like Carolina Ballet’s annual production of The Nutcracker. Combining the beauty of classical ballet with a little Las Vegas magic, this holiday tradition has become an annual favorite throughout the region. 5. Bigger is better when it comes to screen size. The Wells Fargo IMAX Theatre at Marbles is the largest 3D screen in the state measuring 70-feet wide and amplifying the jaw-dropping visuals of movies like The Hobbit: The Battle of the Five Armies 3D and Island of Lemurs: Madagascar 3D. Click here to see all events going on this weekend. 5505 Huntingwood Dr., Raleigh. These lights twinkle in memory of Rick Moore (1986-2004), who in his short life always wanted “more lights.” Drive by Mon.-Thurs., 6:30-10pm; Fri.-Sun., 6-10:30pm. On Christmas Eve the lights will run sundown-10:30pm with the manger lit throughout the night. Free. 5725 Fixit Shop Rd., Wake Forest. Drive through a display that connects yards and crosses a pond (creating beautiful reflections). Ride the train and visit the candy store for hot chocolate, popcorn and old-fashioned candy treats. You might even see Santa! Sun.-Thurs., 6-9pm; Fri.-Sat., 6-10:30pm. Admission is free; donations accepted. 10 S. Cyress St., Wendell. The Town of Wendell has a spectacular light show set to music. This year’s display features 400,000 lights computer synchronized to “dance” in time to the music. The display is created by the Williams family of Wendell, who painstaking design and assemble the glowing event each year. Visitors neither walk nor ride through the exhibit–it’s more like going to the movies. You’ll park (or stand) and watch the show from the viewing area in front of the display. Each show is 30-90 minutes in length. Sun.-Thurs., 6-10pm; Fri.-Sat., 6-11pm. Admission is free; donations accepted. Park West Village; Intersections of Chapel Hill Rd., Cary Pkwy., and Morrisville Pkwy., Morrisville. PaintScaping brings the walls of the Park West 14 Cinemas to life with 3D projection mapping and animation set to holiday music. Nightly, 6-8pm. Story time with Santa is 5:30-8:30pm, Fri.-Sun.. Plus, falling snow, train rides every night and carolers on the weekend. Free. Some neighborhoods are known for their cumulative effort and fantastic holiday spirit–Raleigh subdivisions like Bedford, Black Horse Run and Stonehenge; the historic district of Wake Forest; and Planter’s Walk in Knightdale, for example. Check out this map of many the hot spots in the area created by Wake Forest Commissioner Jim Thompson and shared via social media. What are some of your area favorites? Follow Kristy on Facebook, Twitter, LinkedIn, or visit her website here: Kristy Stevenson Creative. There’s a new spot in Cary’s Waverly Place that will allow you to put your own dazzle on your holiday gifts this year. Color Me Mine in Cary is a walk-in, paint-it-yourself ceramics studio for painters of all ages. My children and I stopped in one afternoon and they both wanted to paint. The setup is easy. You choose from an assortment of ceramics in categories marked on the wall. My daughter chose a rainbow bank from the kid’s section, whereas my son chose a reindeer plate from the seasonal section. You choose about six colors, depending on what you are painting, and then you can get as creative as you want with your design. For younger children, you may want to start with smaller items because each piece really needs about three coats of paint. Once you have finished your ceramic, you turn it in, and Color Me Mine will glaze it, fire it and call you when it’s ready. This process usually takes less than a week. You pick it up and you have a gift for yourself that shows your creativity or a gift for a loved one with a lot of handmade love in it. Color Me Mine has a monthly calendar filled with many activities, including Music Night, Kid’s Night Out, Ladies Night and couple date nights. If you are an inexperienced artist, Color Me Mine has stencils and rubber stamps and a design computer with thousands of designs that you can transfer on to your pieces and paint by numbers! Staff will always be there to help you. There is a painting fee, plus the cost of the ceramic. Special nights usually give a discount on the painting fee, which is usually $6 for kids and $10 for 13 and older. My kids loved it so much that they are ready to do it again, and I have to admit that I wouldn’t mind painting something as well. There’s no doubt that Carolina Ballet’s annual production of The Nutcracker is a Raleigh holiday classic. The stunning ballet, which we highlighted earlier this month, will be performed at the Duke Energy Center for Performing Arts in downtown Raleigh, Dec. 19-28, for its 13th year. Click for tickets. 2. It took more than 12 yards of net or tulle to make a single tutu skirt for the production–the net is specially manufactured for tutus and comes from England. 3. There are 333 stage lights in this production. 4. The Nutcracker, the Rat King, 10 mouse heads and Calico Cat’s head were built by Robert Alsop in England who also built many of the Star Wars costumes. 5. The Mother Ginger costume weighs about 100 pounds and takes a pulley to get dancer Davy Nethercutt into it. 6. 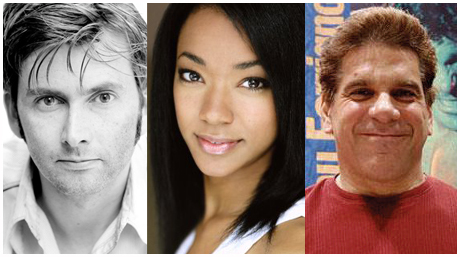 There are 126 individual roles in the show. 7. There are more than 100 yards of various fabrics and more than 200 yards of horsehair braid in the petticoats for the Lead Mother and Party Guests roles. 8. The fastest costume change in the show is for Clara, who has just 30 seconds to change out of her party dress and into her nightgown before the battle scene. 9. There are 51 buttons on each soldier costume (hand sewn on the costumes). There are 20 soldiers in the show, so there are 1,020 buttons on these costumes total. 10. There are 126 dancers in each performance, which means 252 ballet shoes are used each performance.